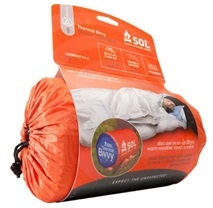 ​* Lightweight sleeping bag might be useful for cool (but not cold) climates. 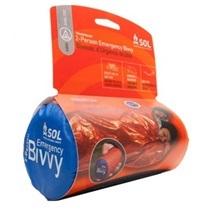 However, from the perspective of weight and double use, ultralight emergency sleeping bags like SOL bivvy might be the best choice. 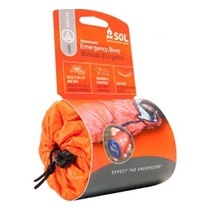 If you are looking for something for daily use, you might need to find more comfortable alternatives; advise here is with focus on emergency survival preparedness. 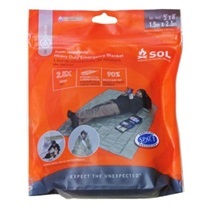 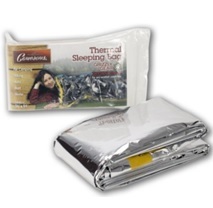 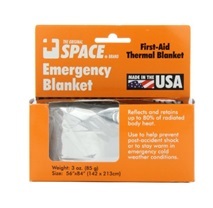 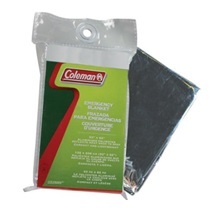 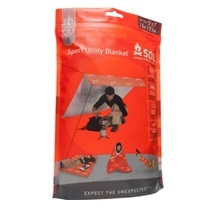 ​* Survival blanket and/or Emergency Shelter is great multi-purpose asset to have. 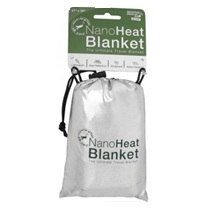 It can be used for shelter, first aid, water gathering, and heat reflection (to preserve heat or to reflect, as required) among some key uses. 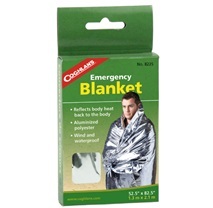 If you are considering medium to large QRB, it might be better to have two of these, in case you need it for different purposes the same time. 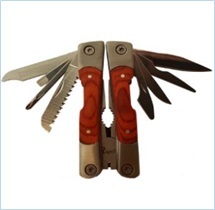 These are available from abundant providers on market, and you virtually cannot go wrong with any. 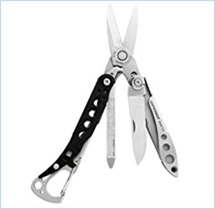 ​* Pocket knife and/or Leatherman is some of the tools where you might be more generous in budget to ensure you are equipped with good quality tool. 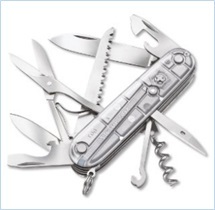 Refer to Tools section for more hints. 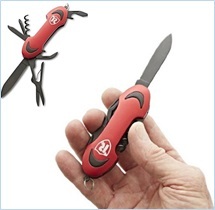 One thing you need to check before packing knife is possible legal restriction on carrying one in the area where you are planning to take your QRB (or could reasonably end up with). 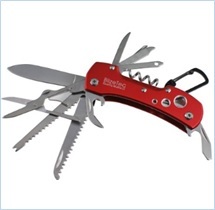 * Saw (wire or folding) will be of use mainly in areas where you may need to gather wood for either shelter and/or fuel for fire. 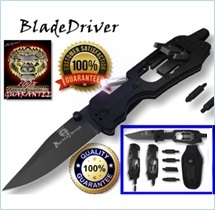 This might be in woods or urban environment. 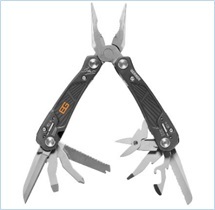 For sake of lighter weight you will need to consider a smaller version of probably folding- or even better - wire saw. 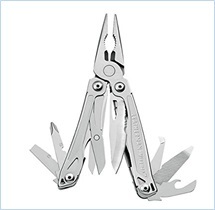 Your multi-tool will most likely have a saw, but that will probably not be enough if you want to process significant amount of wood. 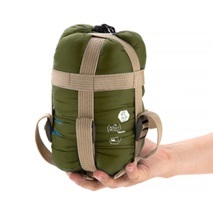 * 20 meters strong cord is useful when constructing shelter, hanging hammock, or maybe gathering wildlife for food (for those who have required skills). 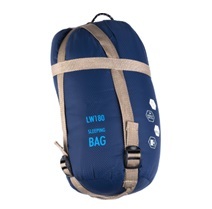 Probably something around “550 lb paracord” specifications would be the best fit. 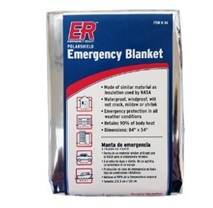 Available by large number of providers. 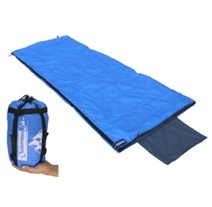 * Light hammock if environment where you will potentially need QRB is suitable for using one. 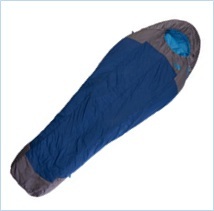 You will have to wisely weigh in criticality of hammock quality with its weight as well as yours.